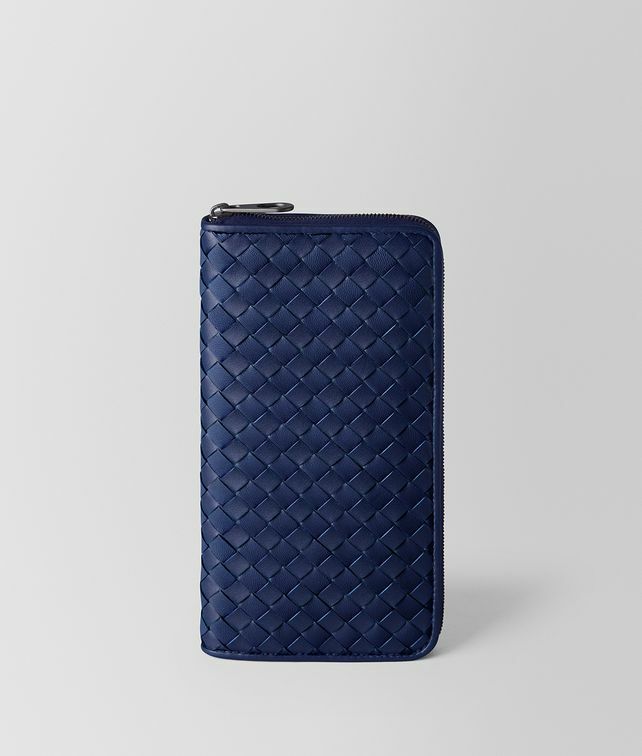 This classic zip-around wallet is crafted from soft nappa leather and hand-woven in the signature intrecciato motif. Its interior opens to reveal an unexpected contrast color. The iconic shape provides clever functionality, complete with multiple interior card slots, two slots for notes and a sleek zip compartment for small essentials. Its signature brunito hardware finishes the look with sophistication.